Discover your Human Design ~ your soul's blueprint for this lifetime. Enter your birth information (date, time, place) and allow the app to calculate your unique Life Chart -- revealing your "owner's manual" for a successful and fulfilling life. 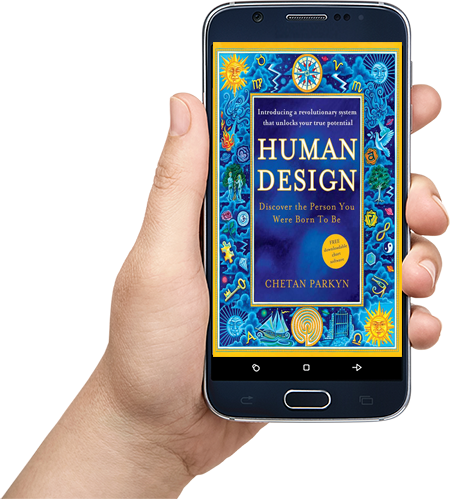 The Human Design app is an essential 21st Century tool for self-discovery and personal empowerment in these rapidly changing times. Its accuracy speaks for itself. It is startling as it reveals the most significant aspects of your personality and genetic inheritance. Not only will you discover vital truths about your own life, you will also be able to look deeply into the lives of your life-mate, parents, siblings, children, lovers, co-workers and friends. *Discover your Life Chart to see what's essentially your inner make-up -- the person you were born to be. *Explore what your 'type' means and find out your 'Authority' (Personal decision-making process), 'Profile' (How best to interact with the world)' and 'life theme' (One of 192 different Life Themes, of which you have one for your whole lifetime). *Check out the daily transits -- and see how the planets engage with your specific design on a day-to-day basis.